Failure, the 90’s alternative rock band, recently returned from a nine year hiatus in 2015 with their record The Heart Is A Monster. Now, the band is ready for much, much more, as they plan on releasing three EP’s throughout the year, culminating in the release of their fifth, yet-to-be-named studio album. The first of the set of EP’s, In The Future, was released today, and it was accompanied by a video for the single “Dark Speed” featuring David Dastmalchian of Blade Runner 2049 and Ant-Man. “David Dastmalchian is one of our favorite actors,” said lead-vocalist Ken Andrews, “so it was a true pleasure to make the first Failure video without the band in it with him.” Andrews also directed the video and produced the EP, In The Future. Premiered via Alternative Press, the video shows Dastmalchian wake up in a panic before making his way around a hotel room, collecting various objects such as vials and a briefcase. He then puts on a spacesuit and opens the door to exit out into space. 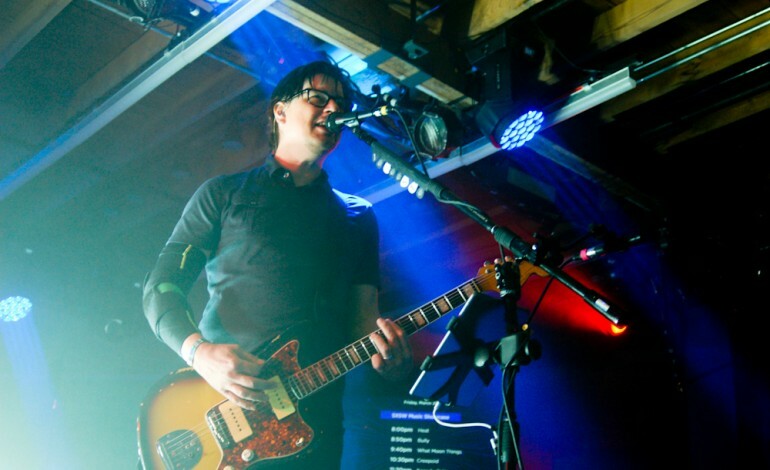 Watch the video below and preorder the yet-to-be-announced fifth LP from Failure via the band’s Pledge Music page here.